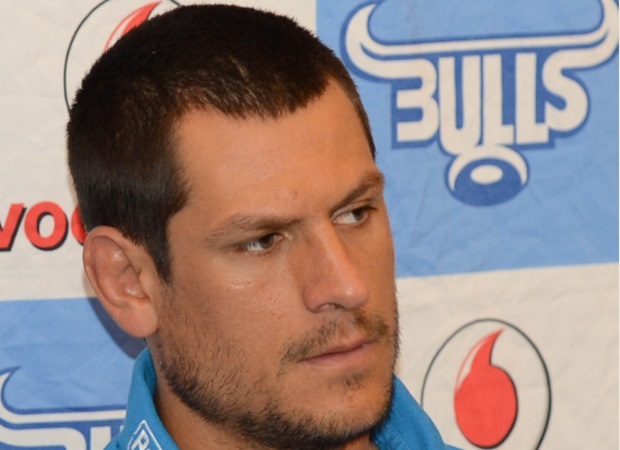 Pretoria - Bulls captain Pierre Spies is expecting a stern challenge from seven-times Super Rugby champions Crusaders when the two teams meet at Loftus on Saturday. The home side welcome back lock Victor Matfield to the starting XV after his stint on the bench in last weekend's win over the Force and will supply a wealth of experience to the run-on side. 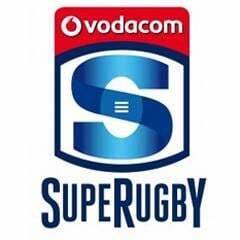 Bulls coach Frans Ludeke has also rotated his front-row with props Morne Mellett and Trevor Nyakane returning to the starting XV as Marcel van der Merwe and Dean Greyling shift to the bench. Flanker Lappies Labuschagne, one of the Light Blues’ standout players so far this season has been ruled out with a chest injury and will be replaced by Arno Botha. While the Bulls' loose trio of Labuschagne, Spies and Deon Stegmann has been a beacon of light for the Pretoria side, Ludeke said they did not lose too much with Botha receiving a starting berth. "Arno Botha will start and Hanro Liebenberg will come on off the bench, he's been involved in the system so it is great to get him involved for another game," Ludeke said. "Lappies, Pierre and Steggies were covering a lot of field, making tackles and sorting the breakdown out. So it is exactly what we need to do with Arno stepping in there..."
Although the Bulls pulled off a last-minute victory over the Force over the weekend, the Bulls mentor said he was not entirely happy with their display over the weekend. "We weren't happy although it was a great win, it was a vital victory, we've lost matches like that in previous seasons and it was encouraging that we pulled that off. "There were some big moments in that game where the Force got the lead and how the team kept their composure and came back was the signs that you want to see going into this game." 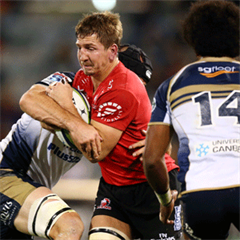 Spies admitted that they could ill-afford a similar performance against the seven-time champion Crusaders, who last won a match at Loftus Versfeld in 2008. The Crusaders will have their tails up as they start their two-match tour with two South African scalps already in the bag. The New Zealand side demonstrated last week exactly why they should be handled with caution as they ran eight tries to two for a 57-14 rout of the Cheetahs last weekend while they also crushed the Lions 36-6 the weekend before. "They have a team filled with international players and they’ve always been a quality franchise and it is always a good game when they come to Loftus," Spies said.